Today is the last day of January, which just so happens to be my birthday. I started this blog before it was even legal for me to drink, and now I’m reaching thirty. Where does the time go? The cool thing about writing a blog for so long is that you get to evolve into a different person throughout the years in front of the entire world. Well, sometimes it isn’t cool. As I get older and get a better understanding of who I am, things that used to be important to me, feel a little less important. When I was younger, materialistic things made me feel like I was worthy. We are molded in high school to believe that having the best clothes make people like us more, and it’s something most teenagers go through. Actually, a lot of adults go through the same thing. I used to think that if people saw my name brands, they wouldn’t see the real me. I don’t know why I thought the real me was so bad, but I don’t understand a lot of things my younger self used to do. Sometimes we dread age, but it comes with wisdom, and we grow to love ourselves on the inside and find deeper meanings to life. Even if you have all the money in the world, or you’re living paycheck to paycheck, we all should still be a little more cautious with how we spend our money. You don’t have to be a minimalist in order to declutter and I think anyone and everyone should do it. It’ll make you realize how much stuff you’ve accumulated and maybe inspire you to cut back a bit. If you follow Jennifer Garner on Instagram (LOVE HER) you may have seen where she just posted a video of her going through junk drawers and getting rid of “stuff.” She may not be financially stressed, but I’m sure having less unwanted junk in the house brought her a sense of peace. I’m by no means a minimalist, and will most likely never be one, but that doesn’t mean I can’t learn from the minimal lifestyle and try to be better when it comes to owning stuff with no value to my life. I have a long way to go, but I’m so excited about the future. I try to do something every day that contributes to organizing or messes. It’s important to tackle things before they accumulate. Remember, it doesn’t happen overnight! Here are some things that I’ve learned so far! 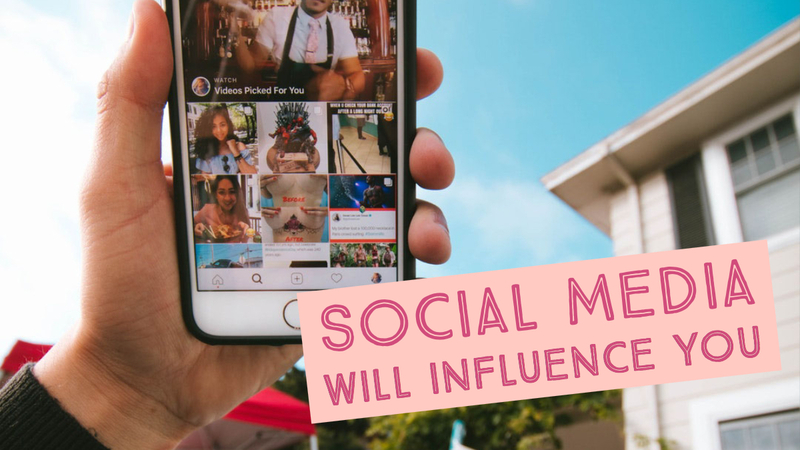 Social media will influence you. When I hear the word “influencer,” I think of a blogger, an Instagrammer, Youtuber, or celebrity. I looked past the meaning of the word “influencer” when it was used to describe an online personality. Like many, I don’t like the label “influencer” because that’s not my goal as a blogger. My goal is to share my life happenings and bring joy to others, not solely influence. But, whether I like it or not, anyone sharing their life on the internet is in some way, an influencer, even if you have ten followers, you’re still capable of influencing. I never realized how powerful the ability to influence was, especially when you’re on the other side of it. When I was two weeks into my no spend challenge, I started to notice myself “watching and wanting.” If I was watching a YouTube video, I paid attention to their skin products, then going to Amazon to look at the prices. I’d see cute dining chairs, and find myself looking at them in a separate tab. I didn’t need any of these items, yet I was exploring the possibility of purchasing them. The only way to break this cycle is to stay strict and tell yourself “no”, or practice the 24-hour rule, which I’ll explain later in the post. Before you start browsing social media, get in the mindset that what you own now, is enough. Not having something won’t make any less cool. P.S. I do secretly hope this post influences you. One of my favorite things about using Amazon is that I can find an item and check out super fast. It takes about four clicks with zero typing to buy something. The simplicity is genius on Amazon’s part, and I don’t hate it. Since I’m not buying “things,” there is no reason to make it this easy for myself. There have been many instances where I left items in my online shopping cart because I didn’t feel like getting up to find my credit card and type in the numbers. If this can help prevent you from buying something you don’t need, why not? Don’t make it easy on yourself, stop storing your cards, and think through these purchases. 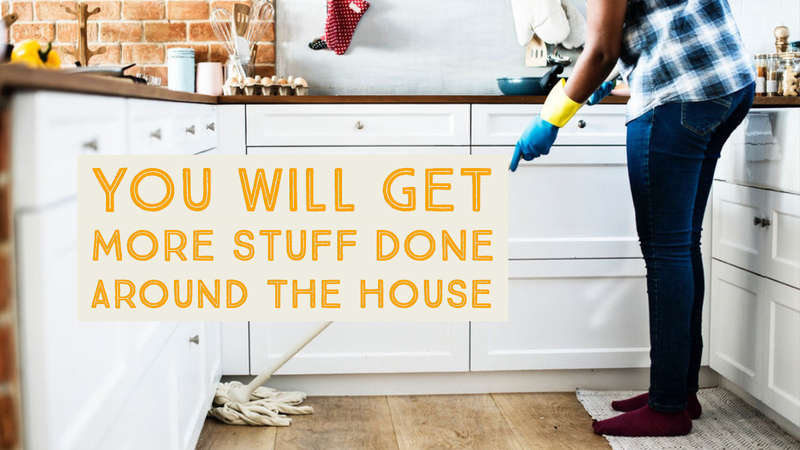 You will get more stuff done around the house. I used to go to the store at least once a day, and sometimes more. If I couldn’t get into the rhythm of work, I’d try to distract myself with a shopping trip or browse the stores just to get out of the house. Because I stopped shopping, I have found myself working on projects around the house that have been put off for so long. Instead of going out to buy things, I take the time to declutter, deep clean, keep up with laundry, and everything else that needs doing around the house. I’ve found myself being more productive with my time. Decluttering will make you realize how many things you have that you don’t need. Experiences are so much better. When you stop buying “stuff,” you’ll have a bigger budget for new experiences. It’s easy to go to a mall and spend a few hundred on clothes when that money could have gone towards a plane ticket to somewhere new. Why not put your money towards seeing new things that’ll create memories for a lifetime? Don’t put your money towards something that’ll be worn once and never to be talked about again. Trips won’t take up space on your shelves, but they’ll fill your life in some way. Trying new things and putting yourself out there will help you grow and give you more fulfillment. If you feel like you’re in a slump and need to change things up, don’t turn to shopping. Book a trip, or go out to dinner with friends. Bond over good food, coffee, a glass of wine, or something else that’ll bring you joy! Dive into experiences like skiing, rock climbing, bike riding, painting, or something crazy! Just remember, when you’re on these trips, you’re going to feel the urge to get some kind of souvenir! DON’T DO IT 😂 All of the travel mugs I’ve bought over the years have ended up at Goodwill. Just bring your camera and take lots of photos! 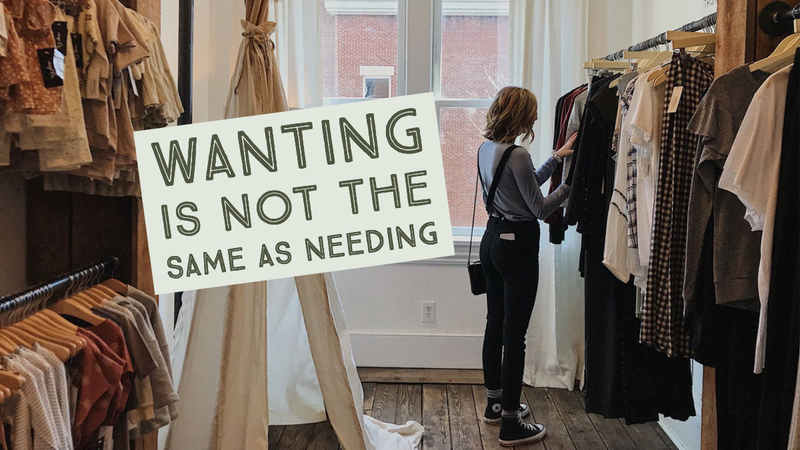 Wanting is not the same as needing. I used to find myself always saying “I need this” or “or I need that” when it came to materialistic things. No, I did not need any of those things; I wanted them. It’s important to identify the difference when making a purchase. Right now, I don’t need anything. There is a heck of a lot of things that I want, but by identifying the difference, I won’t be making any purchases. Wanting things is how we end up with so much junk that tends to pile up or cause stress by ending up on the closet floor. If you can put food on the table, get cleared for good health, dress in warm clothes, sleep in a bed at night, then I promise you, you probably don’t need anything else. It’s not a sin to want something, but not acting on the wants is pretty powerful. 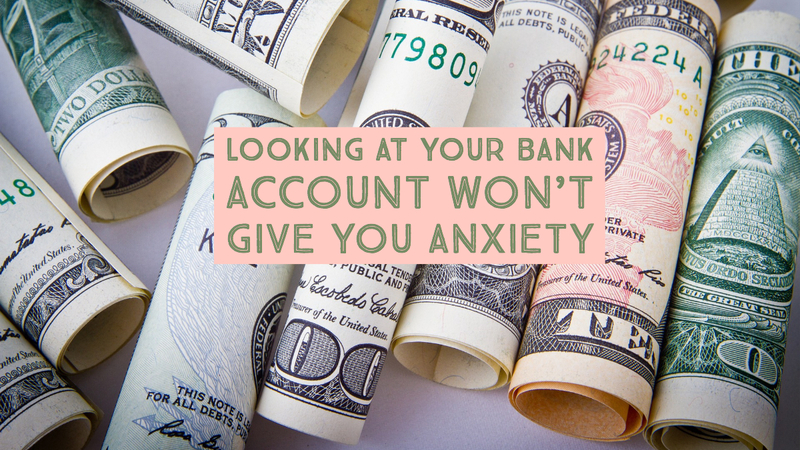 Looking at your bank account won’t give you anxiety. 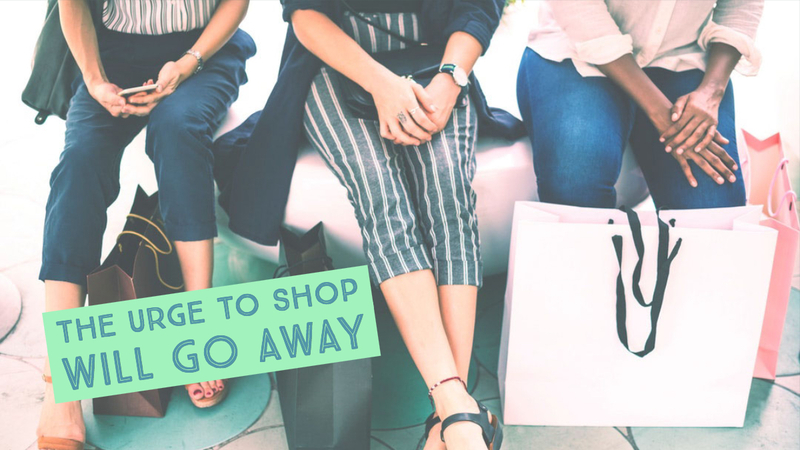 Whether you have hundreds of thousands of dollars, or a hundred bucks in your bank account, looking at the damages after a shopping spree can lead to anxiety. I think seeing any number drop can bring a sense of guilt. I used to hate looking at my bank account because it reminded me of how compulsive of a shopper I was. I used to get so mad at myself when I’d hit a financial goal and then feel the urge to treat myself to a shopping spree. Now, I’m more proud about hitting those financial goals and setting more instead of going out and spending what I earned. Instead of shopping after hitting a financial goal, I invest. Investing may not be as fun as shopping, but it’s going to pay off in the long run. The new shoes, random coffee mugs, and unnecessary sweaters can give you a quick sense of joy in the beginning, but that’ll fade. Don’t throw away your money at the mall. Invest and let your money work for you. Listen to this! According to this article, dust is the biggest predator in our home. The average household collects 40 pounds of dust a year. How is that even possible? Be right back while I go dust everything. Want to know the worst part? Inside dust, microscopic bugs that multiply fast are living in it! Dust mites are real. If that is not enough motivation to start tossing meaningless things in the house, I don’t know what is. If you have fewer items in your home collecting dust, it’ll be easier to protect yourself from all the problems lurking inside dust. That article also said that “45 toxic chemicals linked to respiratory, behavioral and neuro-development problems “have been found living in dust. AHHH! 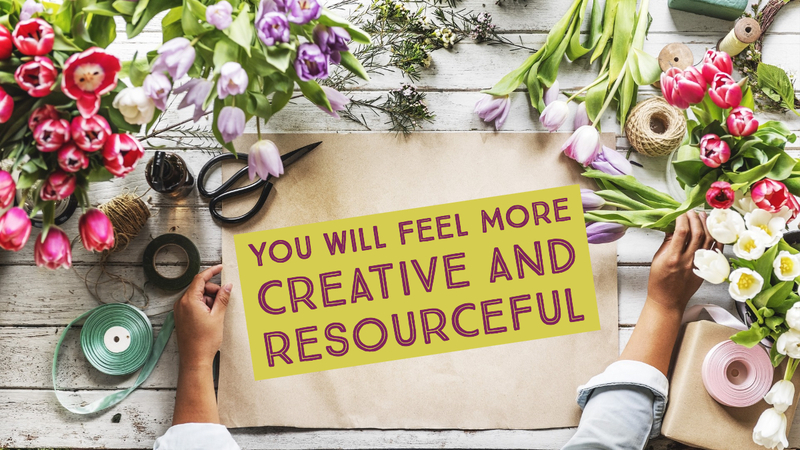 You Will Feel More Creative & Resourceful. When you’re not running all over the place trying to shop for things, you’ll find yourself more focussed and centered on being creative and working with what you already have. Even when it comes to cooking, I’m not always running to the grocery store, but instead creating recipes with what I already have in the house. We have so many resources available to us, and our creativity fades when we don’t have to use it. Not buying new clothes forces us to be more creative in how we style an outfit to make it look different, or how we use the things we already have in the house to replace the things we wish to buy. You will learn to work with what you have. One of my favorite senseless purchases were napkins for food photography. I love changing it up and adding colored details to my photos, and instead of buying new napkins, I used some floral blouses and no one noticed at all. Just yesterday, I wanted to buy flowers for my kitchen table, and instead of making the purchase, I cut several camellias from the bush on the side of my house. It’s crazy that camellias (they kind of look like roses) will bloom in the dead of winter! Not only did this save me money, but it forced me to work with the resources I had in front of me the whole time. Even when you start to organize your things, you’ll find yourself wanting certain containers or bins to store stuff in. 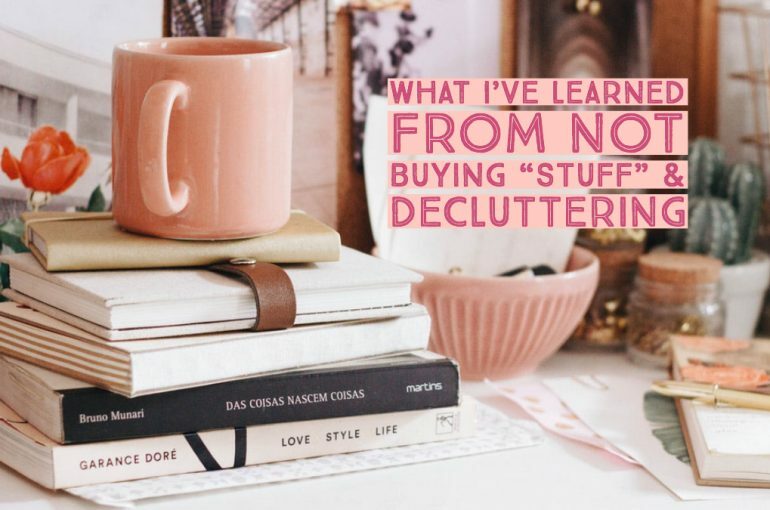 Because you can’t spend, not even on those things, you’ll have to look around to find ways to organize without making purchases. 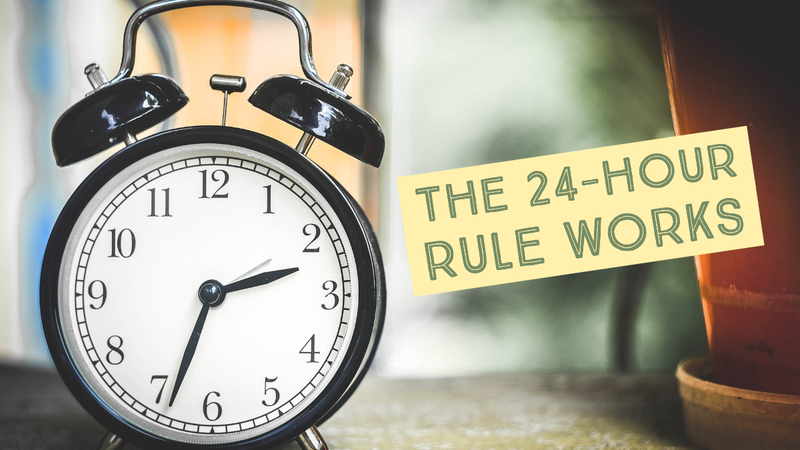 The 24-hour rule has magic to it. If you struggle with compulsive shopping, I promise this tip is going to save you! Before you allow yourself to purchase anything, give yourself 24-hours to think it through. Most of the time, I’ll forget about the item I was going to order entirely. If I could forget about something that quickly, did I need it? Stores are aware of the 24-hour rule, and that’s why they try to get you to act fast with purchases. Ever notice the little popup that says “five people have this item in their shopping cart?” If you put something in an online shopping cart, wait for 24-hours before you hit “submit order.” Almost everytime I do this; I decide to not follow through the next day. Ever heard of the saying “sleep on it.” Well, I’m a big believer in that! A couple of weeks ago when I was browsing dining room chairs after watching a video on YouTube, I woke up the next morning so happy that I didn’t make that purchase. The 24-hour rule also helps you realize the difference between needing and wanting. 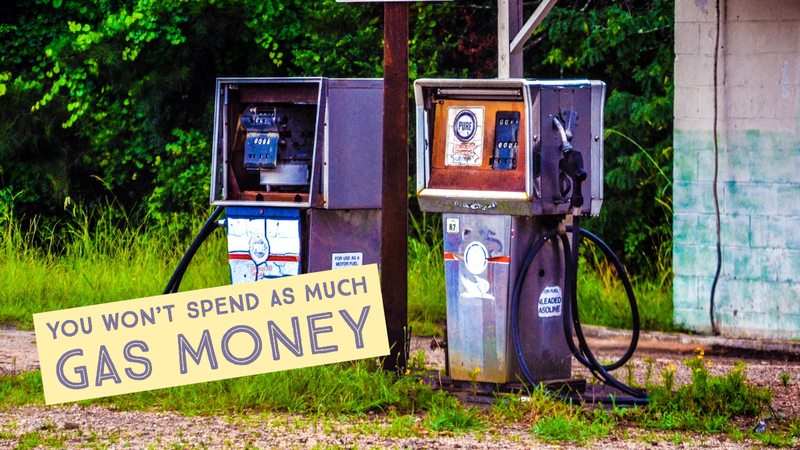 You won’t spend as much gas money. You’ll have more time to be active. Being active is super inexpensive and an excellent way to pass the time instead of spending money. I’ve been going to the gym five days a week to walk the treadmill while Kyle lifts weights, walking the dogs multiple times a day, and taking more time to stretch when I’m feeling stressed. 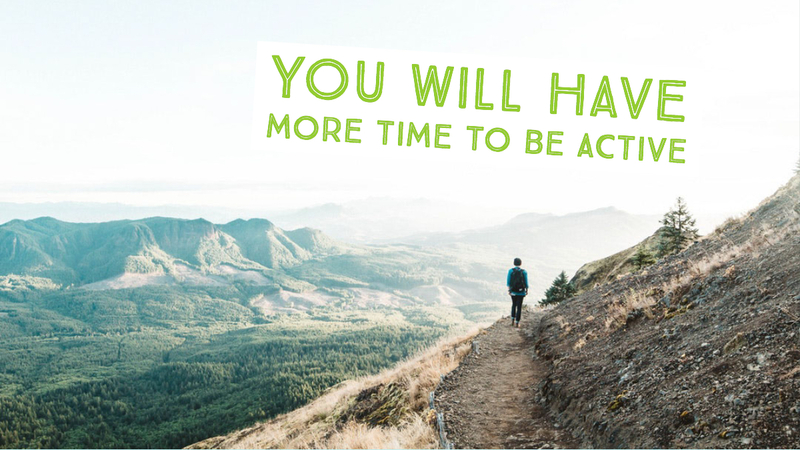 And when you have fewer things to clean around the house, you’ll have more time to spend outside being active. I’ve found so much comfort in walking my dogs when I need an outlet, or just doing something with them, even if it’s just taking them to the dog park to play frisbee. These are free ways to bring excitement and joy to your life. One of my all-time favorite activities is tennis. It’s been way too cold to play here lately, but I know it’ll be the only thing I want to do when it warms up! If you can, try to find a public court and go hit a few balls with a friend. I do want to add that, not only do I have time to be more active, but I have more time to give back and get involved with the community. I’ve been spending some time this week trying to find an organization/charity that means a lot to me and devoting my time to them. It’s easy for me to write a check, but that’s not as fulfilling as donating my time. I want to be more involved this year, and being more proactive about it is a goal of mine. The urge to shop will go away. It feels good to donate things. It feels so good to have less stuff around the house. I’m not constantly tripping over shoes or wondering where things are. Something that feels even better than that is being able to donate my things to a shelter. I’ve received so many requests from people asking me to sell my clothes on Poshmark. There is nothing wrong with that and a great way to pull in some extra money to pay off bills, but it feels even better to be able to donate those things to women who need them more than I do. Knowing where these items go, helps me get rid of things without a second thought. I have it so good, and if I can bring joy to someone else’s life, even if it’s by donating, then that makes me happy. I’ve never regretted getting rid of anything, especially knowing that it’s getting put to good use. I have felt proud every single day this month. I’ve been proud of the changes I’ve made mentally and financially. When I first started the “no spend” challenge, I thought I’d fail in the first week. 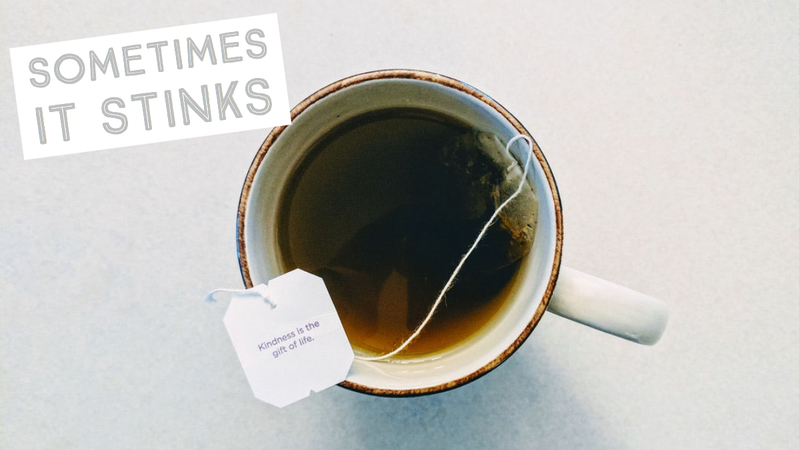 Breaking any habit is hard, but it’s possible with time. 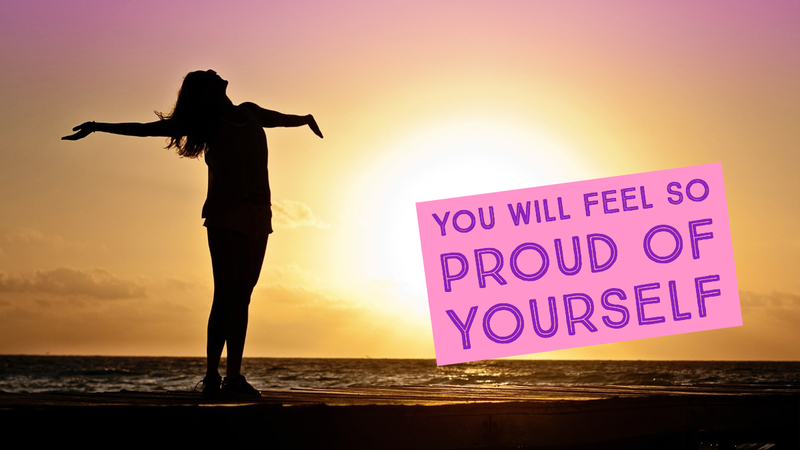 When you overcome weak points, you’ll feel so proud! I’ve never felt more satisfied with myself after sticking to a grocery list, or walking out of a store with nothing in my hand! I went into Hobby Lobby yesterday to buy glue sticks and walking past the home decor felt like a stab in the stomach, but 24-hours later, I’m feeling pretty good about not cracking. I love to reward myself when I feel proud by doing a facial and taking a warm bubble bath with tea! 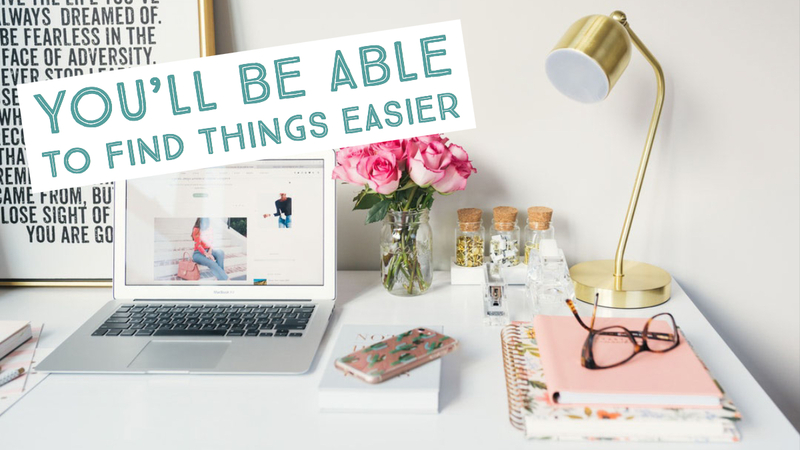 You’ll be able to find things easier. I’ve never gone this long without having clothes on my closet floor. I think having less stuff was the solution. Once you spend time going through closets, drawers, cabinets, and every spot in the house, you’ll know where things are. You won’t find yourself constantly looking for things! I still have many rooms and closets to tackle, but finding things haven’t been an issue lately. Just last month, I felt like I was constantly looking for the mail key or the dog leashes. Now, they’re always on the hook where they should be. 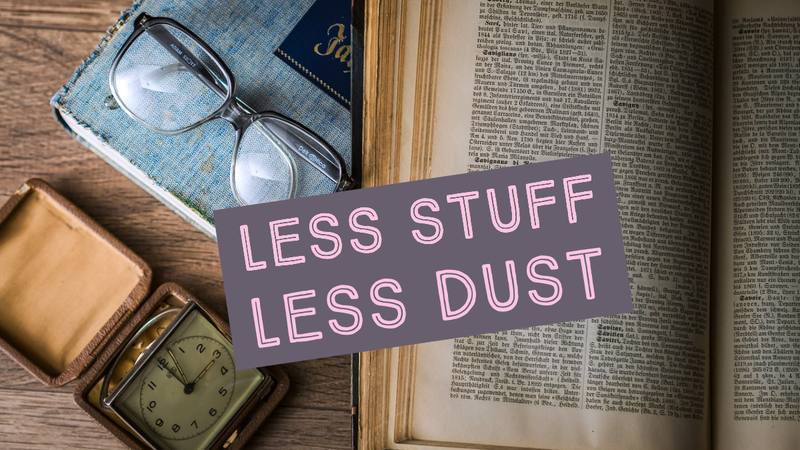 When you’re decluttering, you’ll start to throw away old pens, useless paperwork, and other clutter that hides what we truly use. The buddy system helps a ton. Last year, my friend Meighan, did the no spend challenge. She crushed it! Watching her make all of the changes and set out on new experiences inspired me to make changes to my life this year. She’s continuing to do it, and has given me fantastic advice! My friend, Caitlin, is also doing the “no spend” with me! It’s great because we can both focus on doing things together that bring more experiences to our life. We both enjoy trying new food, taking classes and traveling, so this will be a fun year! My friend, Becca, has always been so creative and resourceful when it comes to shopping, and it inspires me to do the same! We’ve both traded in our shopping Saturdays for coffee dates instead, plus we’ve been working hard on launching the new Podcast. What I’m trying to get at is that having friends that are on board with the “no spend challenge” makes it easier! And if your friends are not on board, that’s fine, too! Use it as a way to grow stronger. I’ve been naming all the good things about the no spend challenge but let’s not sugarcoat it too much. Sometimes it does stink. Sometimes, I want to go out and buy a ton of fluffy blankets, throw pillows, a new car, and other random stuff, but I won’t. Just like the quick high of buying shoes, the sucky part is also short-lived. 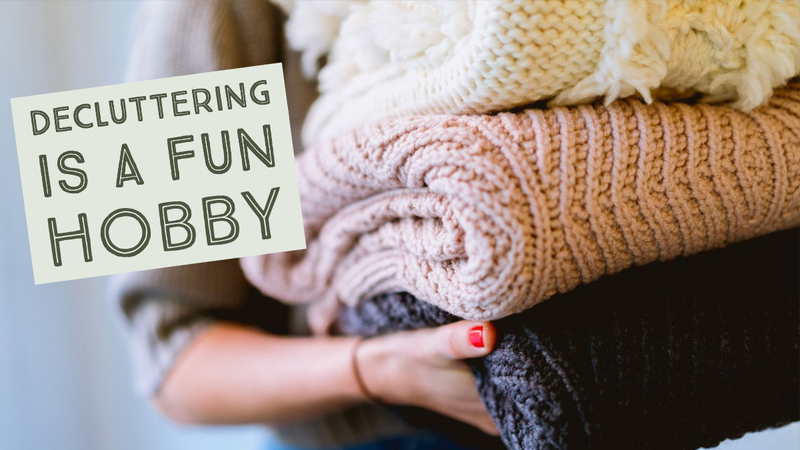 When you feel like you want to shop, or missing out on something, dive into a project! Watch a good film on Netflix, do a puzzle, clean out a room, and distract yourself from the thoughts. Sometimes cleaning a room can change the entire aesthetic, and you won’t need those fluffy blankets anymore. 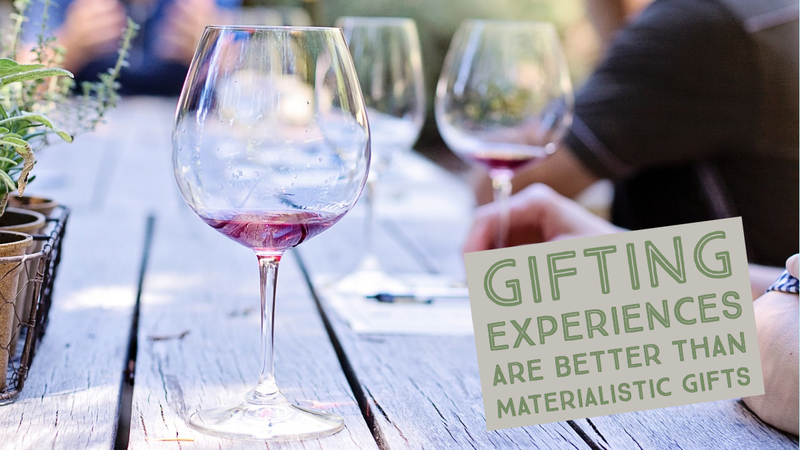 Gifting experiences are better than materialistic gifts. My friend, Meighan, took me to a wood workshop for my birthday last year. She treated me to the most fun experience, and that was better than any materialistic birthday gift I could have gotten. This has inspired me to start gifting others with experiences as well. I loved the class so much and found myself going back again and again. These are the types of gifts that don’t take up space, but bring so much joy and excitement to your life! 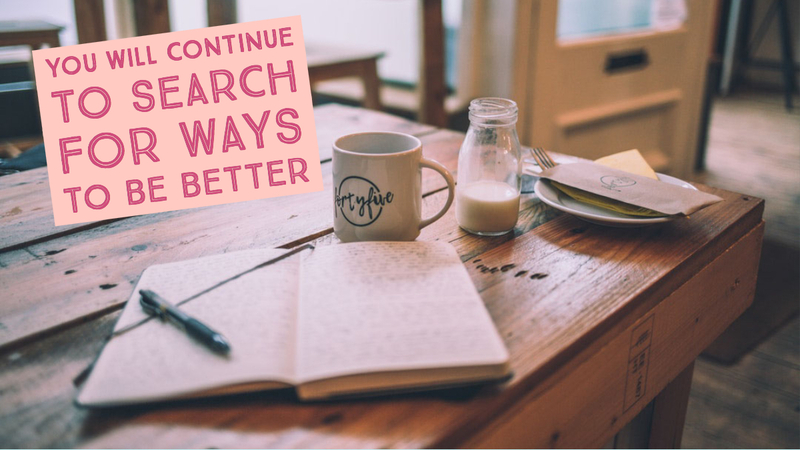 You will continue to search for ways to be better. Once you stop spending and the house is organized. You’ll start looking for ways to be better on a whole new level. 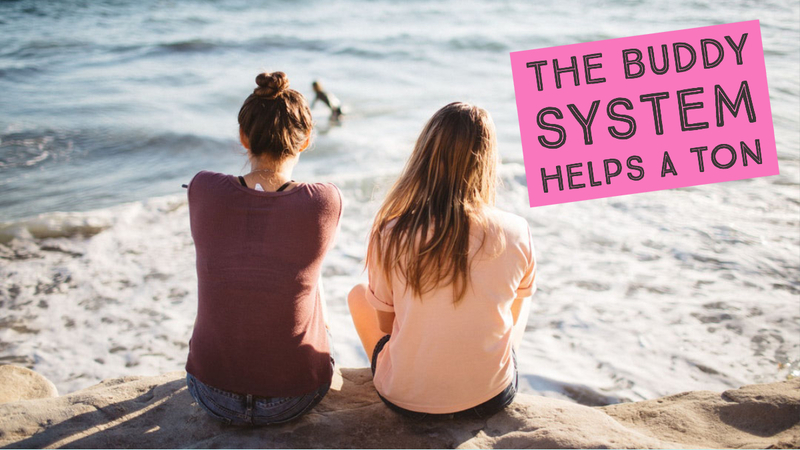 It may be cleaning up your diet, making better lifestyle choices, switching to environmental-friendly products, devoting your time to charity, choosing more meaningful things to read, to journal more, learning to say “no”, finding your way back to church, shopping for food at local farms, and the list could go on. I’ve never been more inspired to keep improving the way I live my life. 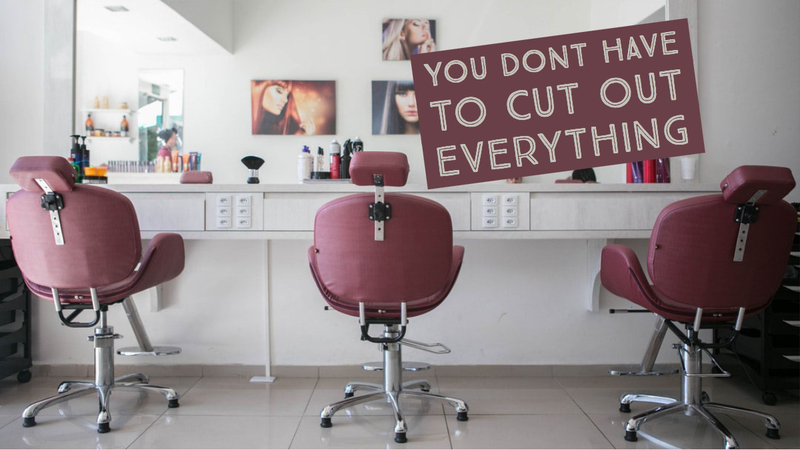 You don’t have to cut out everything. If something that costs money brings you joy and contributes to your self-care, you don’t have to give it up. Things like getting my hair done won’t bring extra “stuff” into the house. My monthly massages benefit my health without bringing things into my house as well, and those are the things that I look forward to. If you spend your money on a couple of things that bring you better health, that’s fine. The cool thing is that you can make up your own rules. You may look forward to getting your nails done each month; well don’t stop that. That is something that brings you joy! You get to pick and choose your splurges. A lot of people don’t believe in paying for cable or other memberships while doing the “no spend” but let’s face it. It’s things like the cable that keeps me from going out and spending on some days. When it comes to restaurants, I don’t dine out more than once a week (if that.) So it’s never been a big spending factor for me. I see it as a way to enjoy new cuisine and have good conversations with friends. Going to restaurants or stopping at Starbucks “just because” when I’m out on the go or don’t feel like cooking is off limits to me. Those are the rules I’ve set for myself! I’ve also cut out the hot bar at Whole Foods when I can make food at home! Decluttering is a fun hobby. 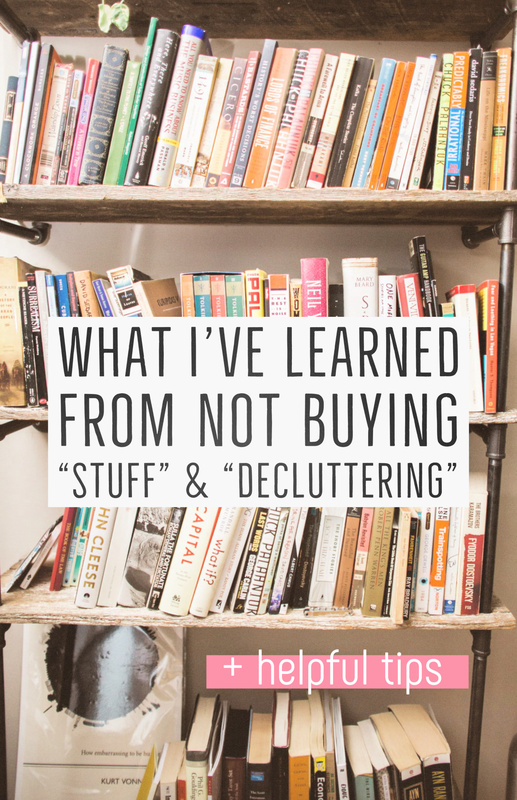 Some of you are probably rolling your eyes at this one, but I have found so much joy in decluttering. I love transforming a cluttered space into a tidy and organized one. The satisfaction of a good declutter session is a great craving to have! This has been one of my favorite outlets lately. If you want to get in an excellent decluttering mindset, dive into YouTube videos or the Tidying up with Marie Kondo on Netflix. You’ll be hopping up to clean in no time! I would say this is one of the most important parts about the no spend challenge. My stress and anxiety levels have gone down tremendously! I used to stress about traveling because I wanted to shop for new outfits or things to bring on my trip. Managing my time with all of that just stressed me out! Now, the trips are so easy. I pack my bags without any shopping, and I’m done within an hour. All of the running around used to interfere with my work and I’d wait until the last minute to get things done. 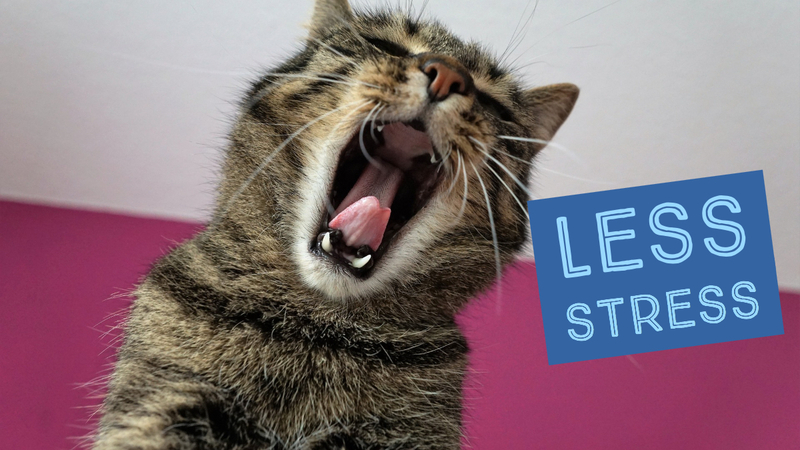 Having fewer things will bring less stress, and I promise you that! When you have less stuff to be responsible for, you’ll have more time to relax. 💜 photos in this post were provided by adobe stock! What changes have you made financially? What is one thing you’d like to work on? What is one thing you like to treat yourself to? I’m a little late to this because work has been so busy but thank you SO much for your honesty in this post. I am truly inspired by your journey. I’ve been reading your blog for a number of years and appreciate how much it has evolved. My best friend from first grade and I did no spend January together. And prior to that I committed to three months of not buying clothes. I feel like a weight has been lifted off my shoulders! And It is so great to have a friend to encourage me on my journey to spend less and experience more. We are reading the happiness project by Gretchen Rubin and I really enjoyed that the month of January was dedicated to decluttering. I cleaned out the closet in our master bedroom and now getting ready in the morning is so much less stressful because I know where everything is. I found a charity that collects professional clothes and shoes to help women who are going on their first interview. i can’t wait to etch out time to tackle the next source of clutter. Next up the closet in my home office! The thing that has most benefitted me on this journey is that I picked up cycling and I fell in love with it. My longest ride thus far has been 25miles in 2.5 hours. I gained such a wonderful & supportive community in the process. I have accomplished four of my financial goals already this year. My husband and I have household business meetings over mimosas and set financial goals together-individual and couple financial goals. They have been helpful over the years cause it keeps us communicating and on the same page about financial planning and our future. My next financial goal is to increase the contribution to my 401k and pay off my credit card. I am going to reward myself with a road bike and join a bike group. I have a health goal to ride my age in miles on my birthday. Wow! Thank you so much for your post!! What an excellent reminder that we don’t need things to makes us whole. And I definitely struggle with this sometimes as well. Reading about your experiences has really inspired me to be more intentional about my spending. 1. This year I have finally made a budget (it’s way past time!) it has definitely opened my eyes to what my expenses are and to be more mindful of where my money is going. 3.I do enjoy a nice pedicure and manicure! Ps: Loved your CO trip vlog! Hope you come back again to visit this amazing state! I’ve been reading your blog for years and thought I’d finally chime in! Congrats on catching the decluttering bug – it sounds like you’re off to a great start, and you’re committed to the process. “No spend” while declutttering is really eye opening, and I recomend it to all my clients. I’m a professional organizer and love the work I do! Helping people make decisions about their stuff so they can design the life they want to live is a thrill for sure. And it’s true, you don’t have to be a minimalist to be organized- but you need to know what you have and where it is! If you need any motivation, advice, help with a storage solution, or anything organizing related, feel free to e-mail me, I’d be happy to help! I could sure use some blogging/social media advice, haha! I loved this! Everything you talked about were things I noticed while doing no spend January. I honestly felt so good at the end of the month. Financially, I was able to go the entire month without using my credit card. That was a big win for me! I have a lot of financial goals the next few years of my life, and being a lot more conscious of what I’m spending is going to help me so much. I would still like to work on my impulsiveness. Even after a whole month, I still get the urge to sporadically buy new things. Although, the only thing I have bought so far this month is vitamins I wanted to try, and a pair of Lucky Brand booties for $34, originally $140! I’ve been needing new, well-fitting booties and these fit the bill. I’m working on building my wardrobe after I cleaned out a TON of things that I simply didn’t like that much, and things that didn’t fit like I would like them to. Now I go into my closet, and have to narrow down what I want to wear since I know everything fits and goes well together! I would like to treat myself to new hair. I have some color ideas in mind (It’s rare that I color my hair), but I have health goals I want to reach before I do that, too! This was the inspiration I needed. I started decluttering two years ago when I had to moved suddenly (my apartment building was sold) and I didn’t want to pack all that stuff I was lugging around. It really made me think twice about buying more. I find I can go without. My hardest thing to give up is Starbucks. It’s in the building where I work and I get an 11am Americano almost everyday. My office has free coffee from a machine that grinds the beans fresh too. I want to quit it. Perhaps if I put wanting to quit it out there in the universe by typing it to you I will. Just want you to know that I miss your recap posts sooo much. Are they coming back? 🙌 🙌 🙌 Thank you! I’ve been reading your blog for years and this is one of the best you have ever written. So much power and truth in eliminating all the excess to help us find who we are truly meant to be. Can’t wait to read more posts like this. 🤞Bravo! I have been following your blog for years and love reading along. I, too, recently watched Marie Kondo’s show on Netflix and have been trying to de-clutter/cut my spending. This post described all of the feelings I’ve been having! It’s so well written. Happy birthday and have a great weekend! Isn’t that show so motivating!? I love that she doesn’t preach “minimalism!” It’s more about the value that our stuff brings to our life! I am curious to know if you actually figured out how much money you saved this month living this lifestyle. I love it! I have done the numbers! I won’t share them but I will say that it’s significant, and that is what inspired me to keep this going! It’s crazy how stupid and big purchases can add up so fast! Girl! I love this post. I am actually doing a no spend February. I unplug every year when the Nordstrom sale comes out, because Instagram bloggers are telling me I need all the things that I don’t. I also am a big fan of a budget, so before the month begins I always tell my money where it’s going to go and I try to pay cash for most things (except gas because who wants to go in do that?) But that helps so much. Especially when you go grocery shopping- once the money runs out you can’t buy anything and it keeps you more engaged with purchasing the things you really need. Love this post! I think the whole cash rule is super smart!! I did that Christmas shopping. When I found out I was pregnant, I decided I needed to start saving more. Doing the no spend challenge for just even a month, I wanted to see how much I could save. I knew that if I saved enough for a couple things of diapers/wipes it would be well worth it! There were many of times I thought to myself “why did you decide to do a no spend challenge when all the cute baby things are calling to you? !” I stuck to my guns & continued to save because we were blessed to have so many friends/family spoil him rotten before he was born at his baby shower. Looking back, best decision hands down. He gets spoiled in July for his birthday & Christmas. The toys between the two are very few & far between. I don’t have the clutter of a thousand unused toys to give me anxiety & he actually plays with the things he does have. 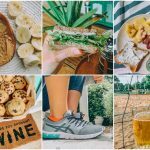 I came across your blog just this morning (via Bloglovin’) … I loved this post so much, I’m attempting my own month of not buying what I don’t need – coffees, magazines, clothes, etc. Glad you’re going to try the no spend month! It’s SO SO rewarding! Thank you for this post! It is very motivating and after just having to replace my old car I need to jump in on a long term no spending challenge! How do you balance no spending with travel? I have a couple trips coming up and have been hoarding cash for vacations but still want to be mindful of spending while I am away. This post is perfect and your tips are incredible. I am going to use your 24 hour rule. I have de cluttered the house over January, so this weekend I will tackle the garage (it’s scary to think about how much stuff is in there). I need to work not buying house stuff that will end up being donated (mugs, platters, rugs etc) when they go out of fashion, (pretty hard to do when I work as a house designer) but I will definitely work on it. One thing that I treat myself to is a yearly hot pool pass. The garage is a spot I’ve put off, but I’m waiting for summer to do it! Good luck with it and let me know if you have any tips once you finish! I really loved this post. I started being more mindful about spending and decluttering about a year ago when we bought our house, but I’ve really gone for it in the last couple of months (thank you Marie Kondo!) I completely agree with all the things you’ve mentioned – especially that you get more time to get creative and be active. I’ve definitely found this. Something to work on: I have a cupboard full of cleaning supplies but once I get through them I want to make my own natural ones. Treat: I climb a few times a week and on Sundays I always get coffee and cake. It makes it more of a “date day” and they do the best gluten free cakes! I think Marie Kondo has put so much good into everyone’s lives this past year! She’s the cutest! Loved hearing that you’ve also found your creativity in all of this! I love that you’re going to make your own natural ones! You’ll have to let me know how that goes. That sounds like the perfect Sunday!!! ♥️ Happy early birthday!!! The 20’s go fast!! Hey ! Tara . I loveeeeeeee this post ! I am a minimalist. So all of these just so related . I also had been struggled of distraction before I tried declutter . Physical and mental . And I am going to keep this doing this. So happy you’ve enjoyed this . Happy February ! I am Chinese . So you know , Chinese-new-year stuff. Thank you so much!! 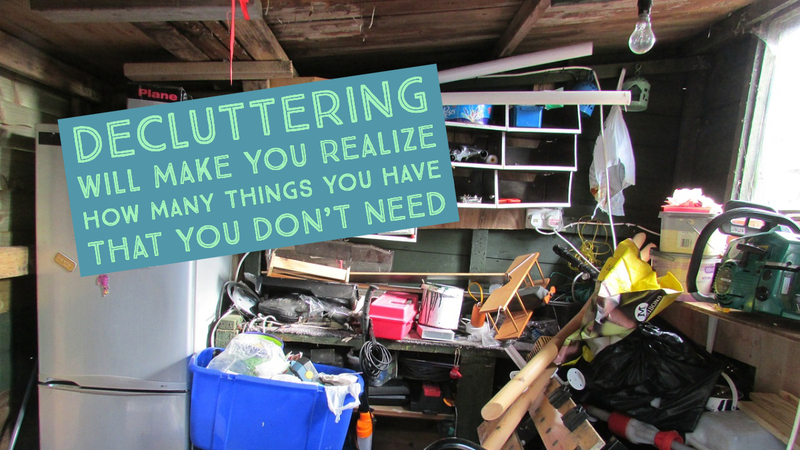 You’re right that having less clutter is amazing mentally and physically! I look forward to hearing your thoughts!!!! I so appreciate this post! HAPPY, HAPPY BIRTHDAY! 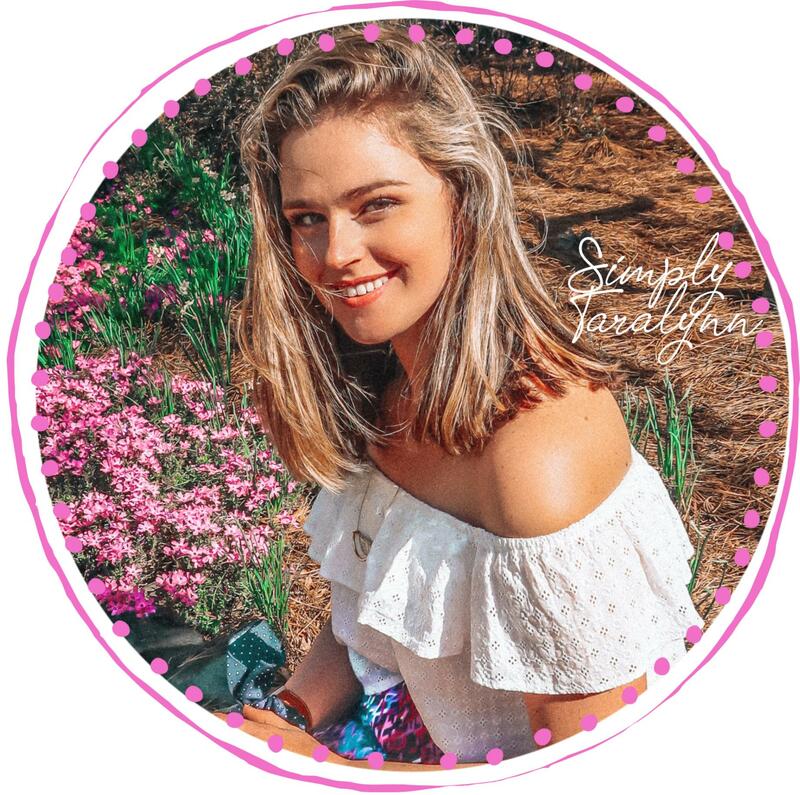 I have followed you since the beginning and it is really cool to see how much you have changed not only as a person, but as a blogger!! Your blog has changed so much. You are still an inspiration though – that’s won’t ever change! Congratulations on the No Spend Challenge! That’s amazing and takes serious dedication. I gave my credit card to my mom, deleted the save info off my computer, and now – if there is ever an emergency I can just call her and have her read me off the numbers. 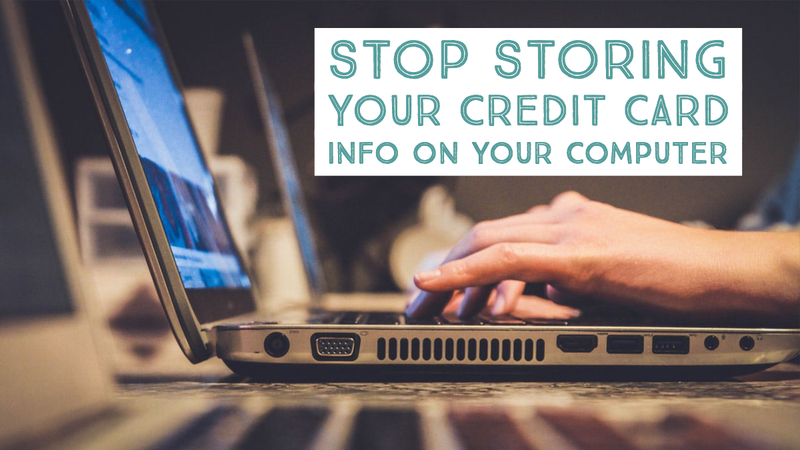 It has helped me pay off my credit card debt without continuously adding to it each month! I would really like to treat myself to a new pair of tall black boots!!! Thanks so much 😃 Your words are so kind!!! I don’t think I’ll ever go back to the way I used to spend! My lifestyle has slowed down a lot once I realized I had everything I needed. I love that you gave your credit card to your mom! SO SMART. Amazon man! It gets you into trouble! That was my goal for this new year as well. Stop spending money on things you do not need. Great tips! I can’t wait to implement some of these! Thank you for donating! I follow too many fashion bloggers that put their clothes on Poshmark and most likely were gifted those items. Greedy greedy! Do you have any tips for a college kid trying to save? I’m in a sorority and always need new clothes plus spend so much on dining out! I’m just going on what others have told me, since I’m a man, but some Goodwill Stores carry designer clothes that have been donated to them. One of my great nieces love shopping at Goodwill. That’s a tricky one. I’ve never been in a sorority, but I do hear it’s costly! I would definitely create a budget for yourself when it comes to food. Whenever you can make your own food, do it! College is about the experience as well, so don’t feel too bad when you do go out and spend money with your friends. As for clothes, maybe try borrowing from a friend! Use ThredUp or Rent The Runway! 🙂 Overall, I think budgeting is going to be your best friend. Love this post! You’ve inspired me to clean one of our guest rooms that is our “junk room”. I pretty much stick to tennis, walking, barre, pilates, and hiking. I have issues with my cortisol and my body doesn’t respond well to the HIIT workouts anymore. Walking is my favorite and it helps with stress levels or anxiety. I think it’s the best workout and great for the mind!! Back in the day, that’s how I lost all of my weight. I loved this post! lots of great things and some I’ve never thought about before! 1. I’ve been doing an unofficial “no-spend” challenge since starting grad school this past fall. I’m on a super tight budget so have been spending way less. I really think a lot before making a purchase. 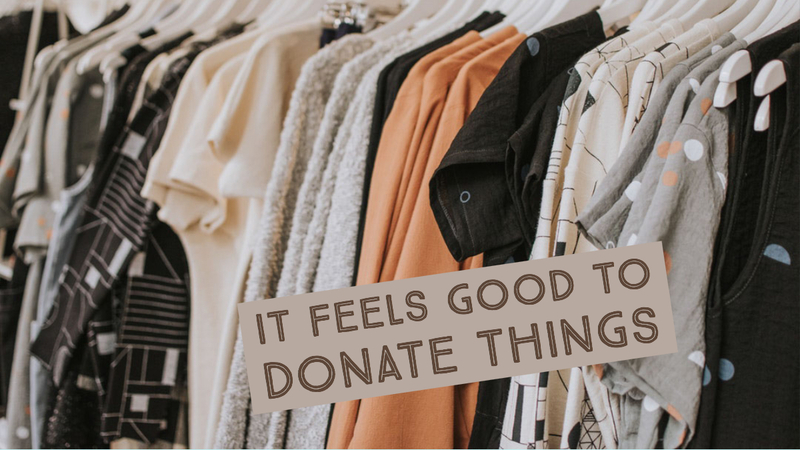 I’ve always loved getting rid of things and recently have donated a lot to Goodwill which is always so liberating! I have a minimalist but clean and organized apartment. 2. The one thing I can’t control sometimes is food! If I’m hungry or really craving a certain food, sometimes I buy it when I know I have food at home. I think it’s fine once in awhile, but not if you’re on a tight food budget like I am! 3. I’ve tried to switch to seeing treats at non-materialistic – I love face masks and baths like you said, as well as home yoga! I’d also spend money on a treat like a cooking, dance or yoga class. P.S. That was the first I’ve heard you mention a podcast – PLEASE do it! I love podcasts! Thanks so much 😊 We are super excited about the podcast! I think A LOT of us do that!! Kyle and I almost did it last night. We wanted sushi, but after an hour of sitting on the idea, we just made food with what we had in the house. I don’t think you read the paragraph right. I never said I wasn’t an influencer, I actually said the opposite. I’m aware that I’m an influencer, anyone sharing their life on the internet is one 🙂 But when someone asks me what I do for work, I don’t say “I’m an influencer.” I just don’t like it and I don’t think there is anything wrong with that. I’m sort of doing the no-spend challenge, but I splurge a little. WAY LESS than I used to. I’m also trying so hard to eat out less. I just went grocery shopping and we should be set for at least 2 weeks. So I only plan out eating out like twice in the next two weeks. I also opened up an outside savings account that I “forget” about and I’m only allowed to deposit, not withdraw. I’d like to work on decluttering my house more. I’ve gotten rid of 3 boxes full of stuff so far but it’s still in my trunk because the thrift stores around here are picky won’t take certain things and the Goodwill is always over crowded. I like to treat myself to concerts for sure. I’m a huge country fan and I like to go see shows rather than buy stuff I don’t need. BTW – I loved this post! && Happy Birthday!! Even just being cautious about our spending is important! You don’t have to go all into the no-spend, but being smarter with purchases will make a big difference!!! Country concerts are always fun and definitely an experience! Thank you Tara for this post. Your old mom now needs to dig in and do the same. Again, you inspired me. I’m sure your Dad will have to agree with this post! Love you lots!!! I really love your opinion of how you dealt with this, I have been practicing the no spend for a while now, but never more so than this month…we travel full time and have weight limitations because of it…for that reason alone, if I bring anything in, I get rid of two things…I have been donating items for years, it’s still great, I just dont need it. 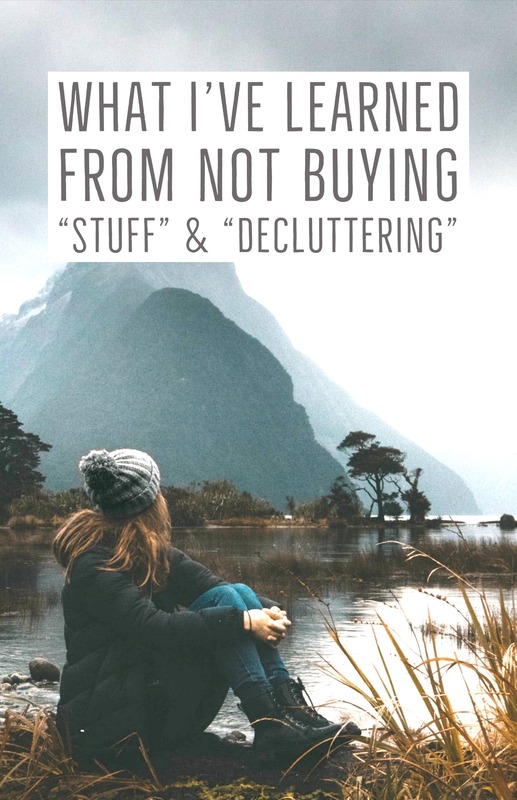 Our clothes are what’s necessary, not a ton, I enjoy the no spend and am constantly decluttering and have been doing the same thing with the cupboards. Love this post!! I’ve never paid for cable TV, and when my husband moved in with me before we got married, he dropped cable and the phone ability, for lack of a better term, from his internet and phone package, because we wouldn’t use a house phone and religiously watch Netflix and Amazon Prime. He wasn’t watching TV as it was, so it was just kind of a waste for $120 a month just for the TV part of the bill. I know that a lot of people love “live” television, though, and while I can honestly say I’ve never seen The Bachelor, there are just so many things on Netflix that I haven’t really felt like I was missing out. We also both switched to Republic Wireless, so our phone bills, combined, are around $60 a month. It’s great, because we get the same service I was getting on Verizon, but I’m paying soo much less. We’re also doubling up on payments for my car, as we did for his, so that it’ll be paid off within the next two months! We also realized how much we were spending in groceries last fall and have been meal planning ever since. The first month, we saved a lot of money, it was ridiculous. I also do a couple of big threadup hauls a year and pick up a few pieces throughout the year at TJMaxx or wherever– mostly because we don’t have a mall or Target where I live (it’s an hour away and ain’t nobody got time for that except on weekends, if that), so there isn’t as *much* temptation, but ya know! One thing I’d like to work on is growing out my dyed hair– I’ve been having my hair dyed for over 10 years (since high school! ), and I’ve finally decided to accept my brown hair as it is (lol), because of how damaging it’s all been, despite going to decent salons. I deep-condition my hair a lot and I’m getting haircuts more often, so it’s a lot better than it used to be in college, but the 2 1/2 inch space of “my” hair color above the rest of my hair that’s blond and everything (as I’ve been growing it out for a few months thus far) is so crazy– it’s super soft and not frizzy… like at all. Sooo that’s the goal this year, but it’s so tempting to dye it! One thing I like to treat myself, at the moment, to is just making time for a hobby. 2018 was such a busy/hectic year wedding-, family-, and life event-wise that taking the time to sit down these last couple of weeks and just exist has been wonderful. 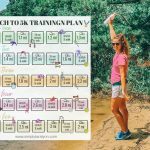 Meal planning is crucial and I need to be better at it! I really appreciate this post! I find myself on Jane.com or Zulily every-single-day! I’ve gotten a little better at just adding things to the cart and then deleting them. LOL. It’s definately a process! What changes have you made financially? Not as much in January, but in February we are going to make sure we really *need* an item before buying. We are going to donate more items and de-clutter A LOT! What is one thing you’d like to work on? Stop mindlessly buying things that I end up donating later.